With a range of ebook readers cropping up over the market, you have a choice to make. Now, as it were, you can just go with the known names in the market. Or you can try these new ones which no one knows about. You will have to see for yourself check them out. However, when we say relatively unknown, you can still find all the great things in it. You will see all the great features you want from a reader. Especially, given the fact that they are looking ahead to the future. You can try new features that you don’t find anywhere else. Namo Pubtree is one for the taking in this regard. You have a complete build of an application which keeps your eBook reading top-notch. Here’s what our impressions were off for the app within the Android and iOS application. However, can it come out to beat other new apps such as Blio, Mantano and Helicon readers which seem high enough? Well, let’s see what this app has to offer to go ahead of the competition. If you are an avid reader of eBooks, you will know that ePub formats are the go to forms. Now the majority of the eBooks are in made these days in the shape of ePub. Although, there are many other formats like Mobi, CBR, etc., but publishers use them when they have more complicated things to say. Usually, these formats are used when the content is more a mix of graphics than just plain text. However, as we can see, for the most part, eBooks are just the real copies of their physical books. And more often than not, you have your eBooks in the same form that they are outside. 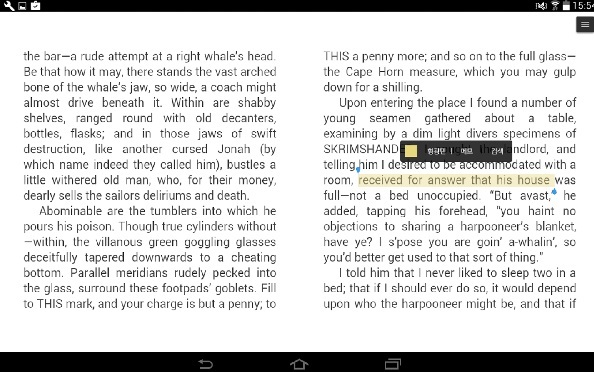 Hence, for the text-based books, you can safely say that ePub is the format to go with. This is not to say that ePub are not capable of lending support for graphics and multimedia content. They are as much easier to have different types of content in them. Also, one other important factor you will have to consider when you look at an ePub file is the ease of use. You can practically use ePub files on almost any device and application. 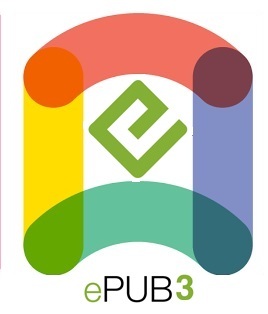 As it is easy to use, owing to its simple code, you can open an epub in any smartphone. What’s even easier is that you can open up eBooks in ePub within your PC systems. Pubtree from Namo systems allows you do extend that even into your Mac systems, iPhones and iPads as well. You no longer have to port Android apps into iPhone systems and use them to read your eBooks. You can get this app for free from iTunes store and get to reading books in Mac systems. However, the only thing you need to consider is that you will have to open the books in the format for ePub and ePub3. With new books and new ways of doing them becoming the norm of the day, devices are confused. They may or may not support the way in which the book is made. We say this because some books are best viewed in different layouts. Horizontal or vertical. In addition to this, you have your systems which may or not show the text correctly. This is taken up by PubTree which can easily get your book to look as you want to be. Although this is not exactly a new feature, you still have many readers who do not show them. Thankfully, PubTree has no such problems where they can quickly turn and twist your book to look good anywhere. However, that’s not all the things the reader can do. You also have your reflowable layout support applicable for your devices. Also, You can always open a book and be sure to scan it because of this. You may have seen the concept of reflowable content layout in other apps or devices such as Aldiko, Blio, Kindle, BlueFire, etc. This is something very similar to what PubTree offers to each of its users. What this means is that you can read your ebooks as carefully as you read a physical book. The reflowable feature of this app allows you to adapt the content of the book. Thereby, you can have your content adjusted for the screen size and display source. You can go ahead and open any eBook in PubTree eBook reader app for smart devices. Most of the biggest problems we have with eBook readers are that most of these eat up your battery. This is true when you are looking to read the books on your tablets or smartphones. You pick up a book, and suddenly you realize that your battery is half gone. And next thing you know, you are searching for a plugin source and give up on reading for a while. Thus, this becomes a frustrating thing to happen when you are right in the middle of reading a book. 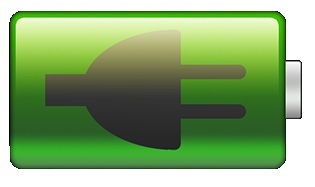 Pubtree caters to this need and helps you with several features which save your battery life. Easily, one of the better options out in the market and highly useful is its power saving mode. Pubtree reader comes with a load of features which makes your reading easy and battery saving. The app comes with self-adjusting light modes which change depending on the surrounding. For example, if you are in a shady area, the app will adjust the screen brightness to make the display milder. And so on with the bright area of lightning. You don’t have to worry about how it will perform in different reading conditions. Because, it supports not just ePub but also PDF, you can also opt for scroll down effect to make the most of the reader. 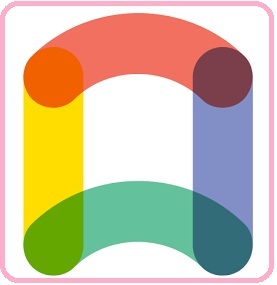 As Namo Interactive is the team behind it, they understand the various problems that the users can face when reading a book. Hence, you will see that they have come up with features which make your reading all the more exciting. You know you have a decent app in your hands when you can almost open anything with it. This is all the more important when it comes to eBook readers. Thus, even in smart devices and tablets you can easily go ahead and open any text file format and never lose out on anything. PubTree gives you options to load up scripts which are in Right to Left format. Most of the Arabic and Hebrew scripts are made in RTL format. Therefore, you need an app which supports such formats. In recent times many apps and devices on a default basis lend support of RTL scripts allowing you to read on eastern books quickly. 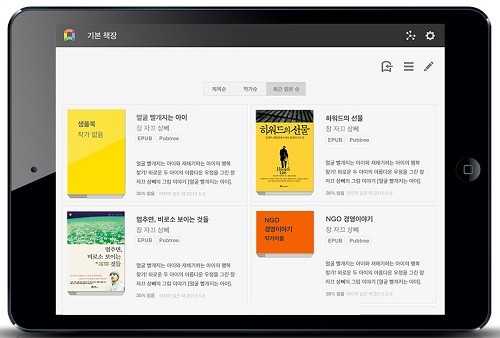 What this also means that you can open almost any language books within the app. You don’t need any other add-ons or extra tools to do so. However, having said that you might find that you can’t use almost many features which you usually use with other books. One other feature which makes the PubTree app to stand out is the support for fonts. What use is it if you can support alignments and scripts but not the fonts. Thus, it makes no sense to see just blank spaces or weird symbols rather than just text. PubTree solves this problem by giving you an option to load up as many fonts as you want. Though the tool comes with around 30 different fonts, you may always have a need for more fonts. That is why the reader app can load up fonts from not just within the app but also the system. The process is simple. When you face a text which comes with a signal ‘Unsupported Fonts‘, you can go ahead and search for fonts online. You may have to download the fonts to the fonts folder if you have one. Or if you are using this book in smart devices, you may have just directly to install them. Once you have the fonts which you like, you may have to restart the PubTree app. This way the tool scans and loads the fonts which allow for reading almost any text you give it. Therefore, this allows you to install any number of fonts that you may want in your system to correctly load up any book. Never again stop reading any book with a tool which supports embedded epub formats. Most of the times when you are working with iOS systems, you will find some sorts of problems. You may see that you can’t open all the types of books. Or even if you happen to open it, you may not read it as you like. This is where PubTree comes out with flying colors. PubTree gives you native support for iOS systems, which not many apps in the market offer. What this means is that the publishers behind this app, Namo publisher, have designed the app to be compatible with Apple iBooks codecs. This way you have almost a similar reading experience when you look at reading books. And also as the app supports MathML natively within Apple iOS, you have an additional benefit of reading ePub books within iOS devices. What MathML means that you can go for reading mathematically based text files. You can open and read mathematical equations which allow you to go and read all the equations, statistics, images and charts which allow you to read through scientific journals. Most readers these days are supporting eBooks which allow understanding mathematical theories and research papers. Therefore, PubTree is an app which allows readers who are pursuing different courses to read their material without losing out on anything. Thus, MathML supports everything you need from a decent enough application user. Have you always tried to share something between apps within the device and send the material to other platforms? Not many reading apps give you all this freedom to exchange material from within its app to others. For this facility to happen, you will need an API support from in between apps. Apps like Kindle, Google Play Books, Audible, etc. have this API inbuilt facility which allows you to select any phrases or paragraphs or quotes and share them. Now where you share them is up to you when you can send the quotes to email to Facebook or messaging platforms. With this in hand, you can save what you want from an eBook for viewing later and share them with your contacts. With the inbuilt highlights feature within the app, you can pinch and select the text, either on a word or passage. Now you with PubTree in your hand you can create memos, which are like playlists to songs. You can apparently, share these notes as well without any effort on your part. You will never have to copy paste between the apps for anything at all. As we saw earlier, you can open up most of the book formats from within the app quickly. Having said that, PubTree specializes in reading and viewing ePub and PDF files for the most parts. That is to say; you may have a slight problem in opening other types of formats like Mobi, CBR, etc. This is despite the fact that PubTree application goes to the right lengths in adapting and showing images in sequence and has support for comic series. Of course, the better part of it is to go ahead and read ePub, which you can achieve by converting Mobi to Epub. With this in mind, you can say that PubTree is perhaps a greater bet when you are taking up books which are made in ePub files. Also, this is an excellent reader for PDF files which are perhaps the easiest PDF file which allows for reading. Most of the eBook readers and devices have native support for PDF files so that users can read text materials without losing out on storage space. Also, as PDF are DRM protected, you can protect your PDF files as well. However, when you get DRM protection for PDF files, you cannot use them as you like. These files are under encryption and therefore you will need the correct passkey to go beyond the protection. However, PubTree allows you to work for DRM protected files with allowing you to register yourself. If you have an Adobe account, you will need to sign in within to continue and view DRM protected files. This way you can read, see and share PDF files which are protected as well. PubTree by Namo offers many great features which make your eBook reading all the more fun and rewarding. You can use this app to significant effect within Apple systems. You can get this app for free from Apple iTunes store once you register yourself with your ID. However, if you are a publisher looking to give your work the digital framework, you will have to approach a professional publishing services company. We are a world-renowned publishing company which specializes in converting your physical books into eBooks which are fully loaded with features and make reading all the more pleasurable. Drop us a mail right away, and we will take it from there.